This marks the third of a series of in-depth, exclusive interviews I am doing with the librarians and staff here at Georgia State University College of Law Library. I hope you enjoy! 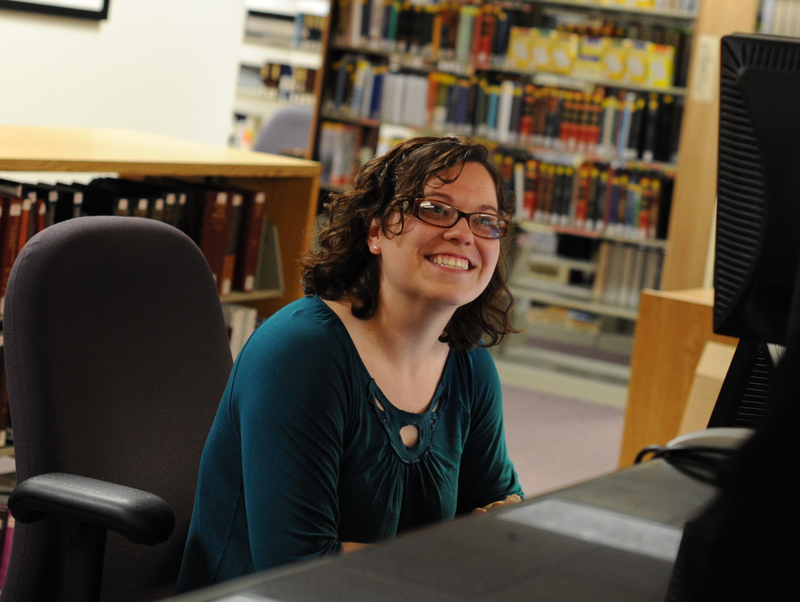 Deborah: Deborah Schander, Reference/Student Services Librarian. D: I’ve been at GSU since August 2010. A: That’s crazy. I started in August 2010 as well. D: Because we started on the same day. A: So, what books are currently on your night stand? D: I’m currently reading two books: First, A Homemade Life: Stories and Recipes From My Kitchen Table by Molly Wizenberg, which is a memoir/ode to food, and makes me ravenously hungry during my MARTA commute. And second, Shadow’s Edge, the second book in Brent Week’s Night Angel trilogy, because sometimes, you just need an assassin’s story to pep up life. D: I was in a professional opera despite the fact that I can’t sing. D: I’m pretty boring. I like reading (mysteries, superhero comics, sci fi), going to the theatre, and being crafty (cross-stitch, crochet). I don’t get to travel as much as I would like, but I do love to visit new places. D: London. I studied in England during part of both college and law school. I traveled throughout the UK, but London just never gets old. D: Please don’t make me spit my coffee out. Now that was fun! The complete, unedited, behind the scenes interview with Deborah Schander.